There are few things in the life of an organization that are as important as its conferences, meetings, or events. These activities can result in the exchange of ideas, the imparting of vision, the building of relationships. A successful conference, meeting, or event that exceeds participants' expectations is no accident. It is the result of careful planning, years of experience, and tenacious detail management. The results of a professionally planned and managed conference, meeting, or event are many-reduced costs, better allocation of human resources, and a more enjoyable experience for the conference owners, the participants, and suppliers. Our goal is to have all the conference stakeholders come away with a positive and lasting experience. We like to think of the conference, meeting, or event as the pebble in the pond that sends concentric circles of influence and inspiration radiating out from the event itself. Thus, the real measure of success is the residual effect a conference has upon participants weeks, months, even years after the event. By managing every detail to perfection, we help ensure that nothing gets in the way of that result. Whether you are looking for a complete management solution or a collaborative consultant to equip you to successfully manage your organization's conference, meeting, or event, your best event ever begins with free consultation with CONCENTRA Conference Management Services. Jenn Cummings is a goal-driven meeting professional with over a decade of experience and an exceptional ability to acquire new skills and work with a wide variety of people and groups. She is an intuitive and eager learner in many areas, especially industry standards and practices, software programs, social media, marketing, and communication. She is a creative and resourceful team member with extensive experience in site search, contract negotiations, budget development and management, and community and volunteer leadership. Jenn acquired her Certified Meeting Professional (CMP) designation in 2008 and recently re-certified in 2013. 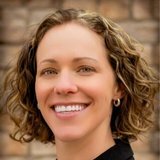 She has enjoyed serving on the Programs Committee and the Board of the Rocky Mountain Chapter of the Professional Convention Management Association since 2008. Jenn became the President of CONCENTRA-CMS in July 2014 after working for the organization since 2002 as a meeting planner, then Vice President.